Last year I partipated in Fimm McCool's "Month of Marsh" March painting challenge, which is sort of like Orctober, Deadcember, etc. for those of us who are partial to Fomorians, Fimir, and other marsh dwelling creeps. I love these painting challenges, so that's my plan again. Theoretically. 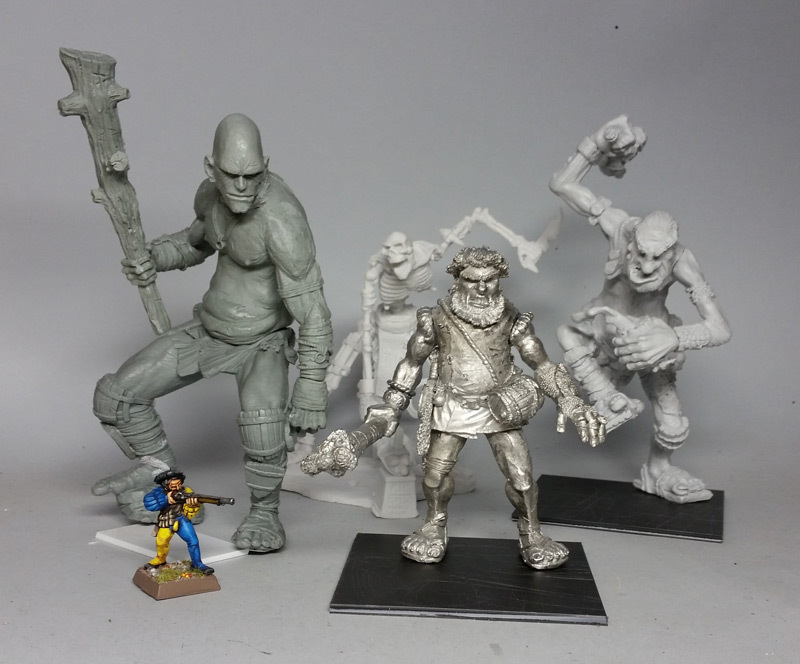 March is starting off a bit busy, but my plan is to finish up the 8 converted plastic Citadel orcs I started last summer, and, if possible, maybe paint the oldschool lead Citadel Fimir nobles/fianna (one each, four figures) that are still waiting in the bin. After that I am looking forward to my own April Fool's errand, repeating my mostly one-man Big April Giant Challenge. The Warploque Giant, which I never got to last year. The oldschool Tom Meier giant I recently acquired. The Citadel C28 giant that I apparently neglected to post photos of -- I got him minus a weapon, so I sculpted a club for him. Actually five clubs, because I had some scale problems. The Otherworld Giant. The last of my "priority" giants. I just finished a large/overdue commission, so I splurged and used some of the proceeds to buying one. I'm assuming it gets here in time. 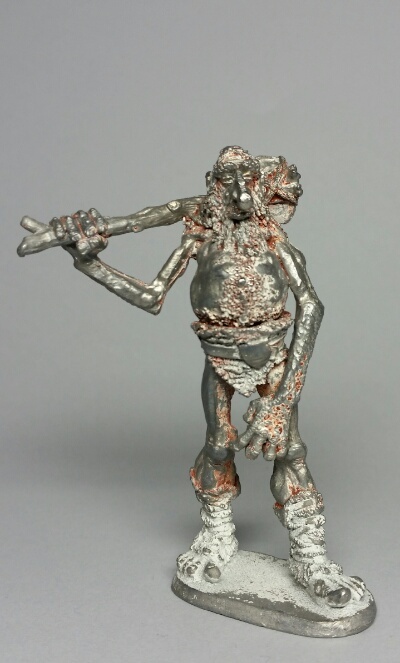 The last of the metal giants produced by Citadel before they switched to plastic & resin. At least that's the pool from which I will paint. I only got 3 done last year, so completing all of those would be a bit over-optimistic. But, hey, I can dream. That's it for now. Been writing up some more backstory for my campaign ideas. Good luck with painting goals, I may try to paint up some giants in April. I have two Marauder Giants and one plastic craft store toy. That Marauder giant is still such a classic figure. Is the craft store toy a cyclops, by chance? Yes. Safari Ltd. I bought him to see what could be done with a $10 toy. I've been looking for that one. I've seen two of them re-painted on a gaming table. One in person, one online. Both looked good and I wanted to see what I could do as well. I have used two of their toys as statues (Triton and Medusa.) But all of the craft stores have a bunch of those toys -- but no cyclops. Looking forward to seeing how yours turns out.